Woodman & Blount is a full service building company providing a range of high quality services to commercial and private clients over a wide spectrum of building projects. Alternatively you can get in touch via our 'Contact Us' page. Our company was founded in 1976 by Alfred Woodman and David Blount, skilled builders, initially working on small domestic projects including extensions and structural alterations for private clients. In the 1980's the company grew and extended it's work into major projects for commercial clients like Sainsburys Supermarkets and (others here). Today the company is headed up by David Blount and his son John Blount. 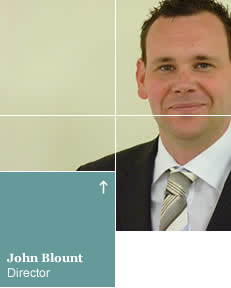 They manage the Woodman Blount team and carry out all liaison with clients. Our client list is varied and the projects more so. This means we have a very wide range of skills and experience, based on a long established track record. We continue to grow as a modern, dynamic and service based company working on both simple, basic building work through to advanced, major, often complex building projects. We believe our success is built on developing close, open and cooperative relationships with our clients. Clear and regular communication are key to each project being completed to a high standard, on time and on budget. Much of our work is repeat business with long term clients, which we feel is testament to our professionalism and ability. We are used to working with a wide range of different companies and people at all levels and functions within commercial operations as well as working with clients on residential premises and private homes. Much of our activity centres on refurbishments and we work most often with building managers, landlords and occupiers. For a full list of our services and the types of projects we can undertake, visit the 'Projects' page on this website.